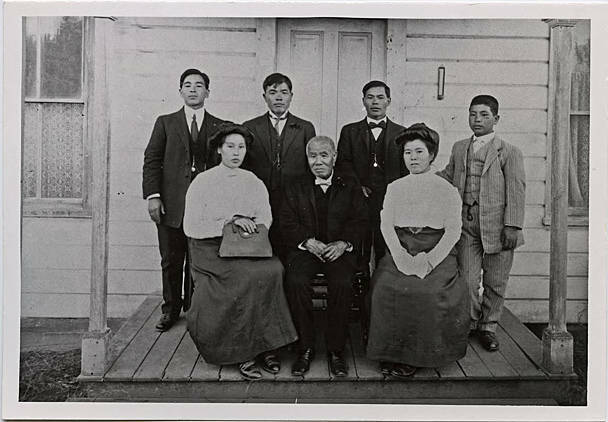 Black and white image of a Japanese American family on their front porch. The four sons stand in a row behind their father, while two of their wives sit one on either side of him. All wear modern European-style clothing.